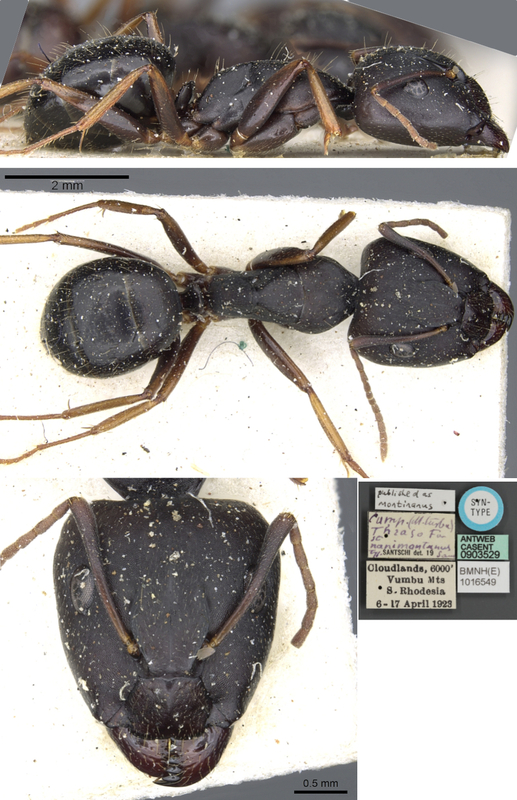 and nefassitensis (Camponotus maculatus subsp. 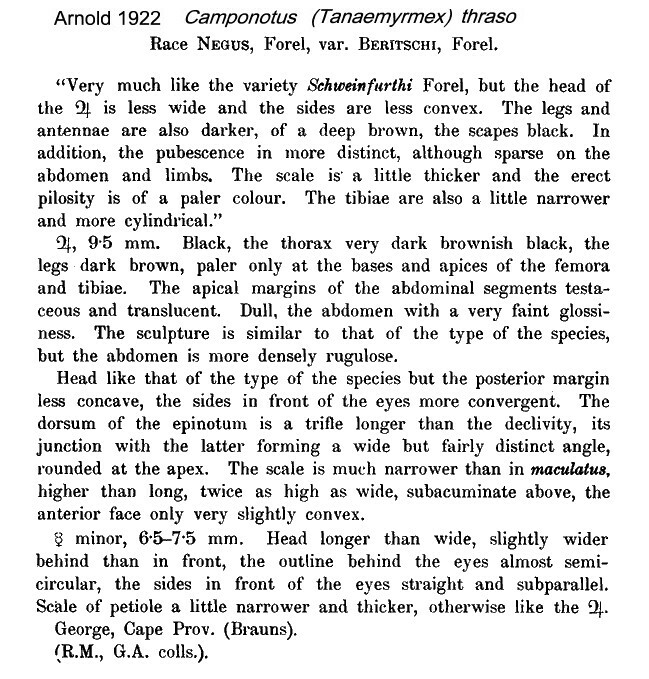 negus Forel var. 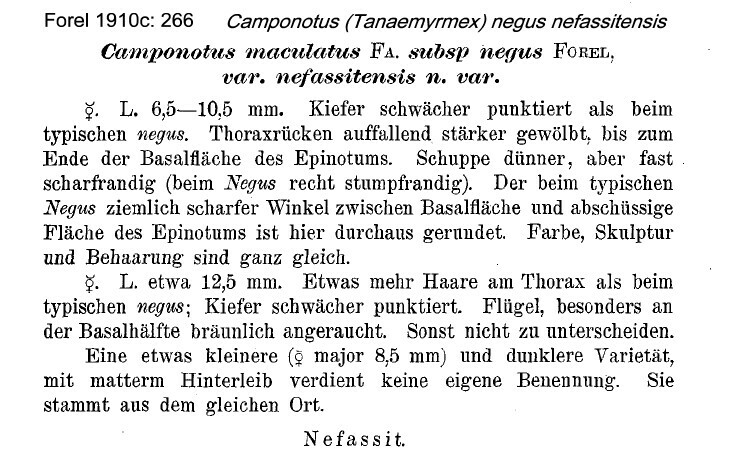 nefassiensis n. 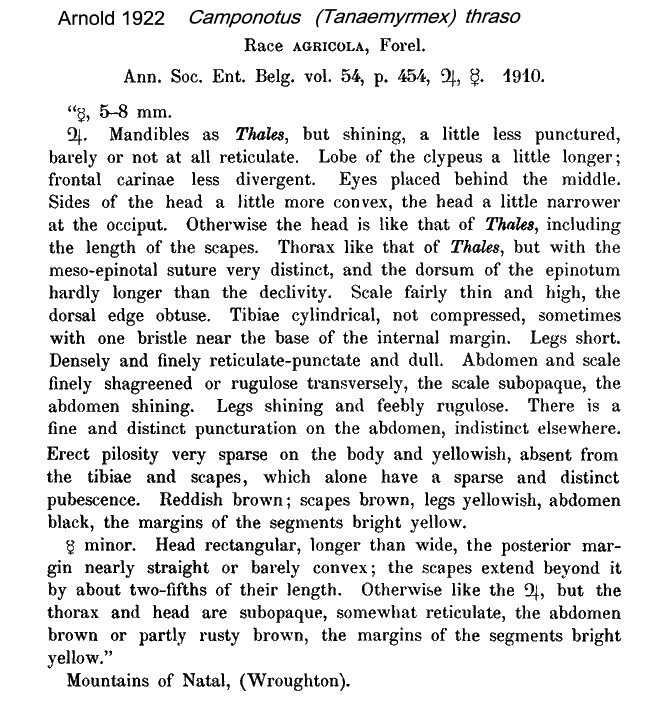 var., Forel, 1910c: 266; Menozzi, 1931a: 155, major & minor workers, name and distribution only) from Ethiopia, Nefassit - see below (also from Eritrea, Finzi, 1939a: 160) as probable subspecies. 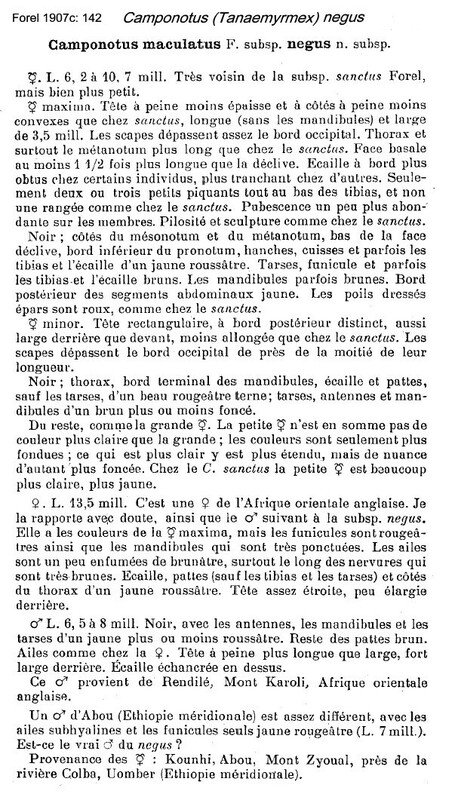 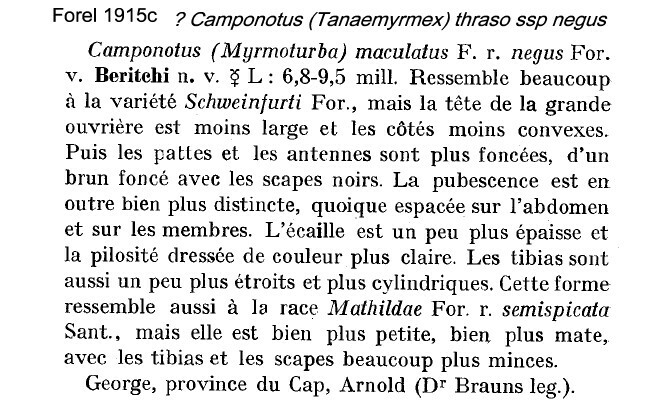 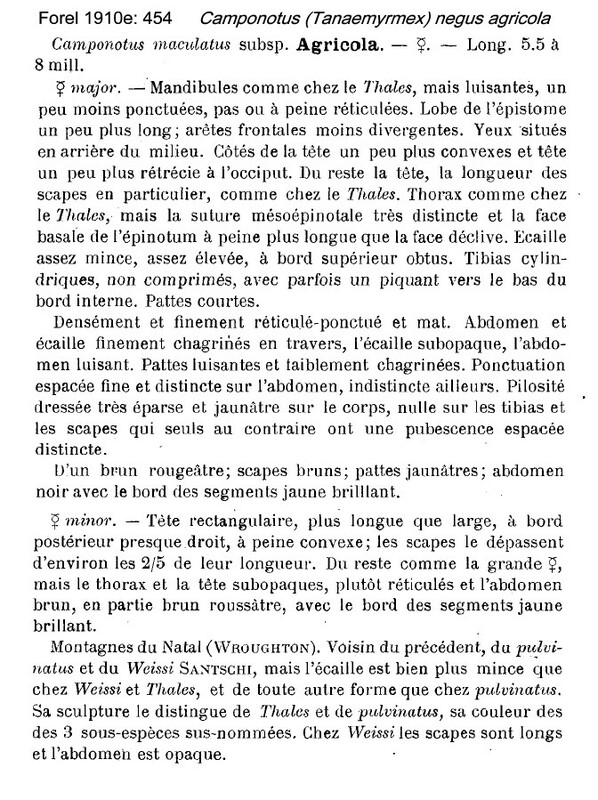 Note tacitus (Camponotus maculatus race agricola, Forel var. 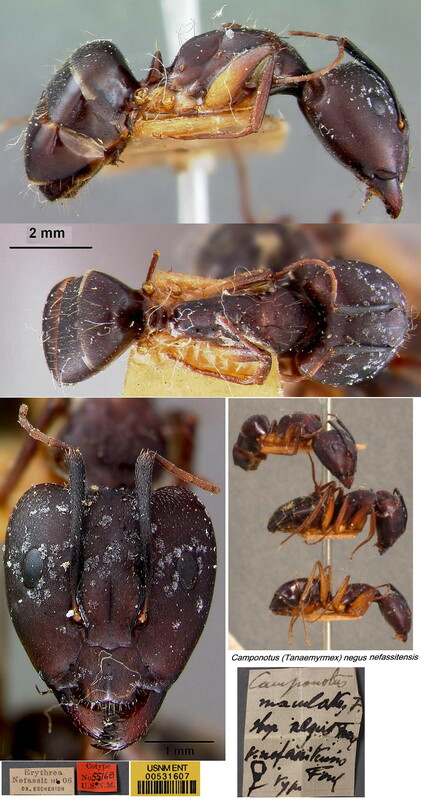 tacitus, Santschi, 1919b: 240, major & minor workers) South Africa, Natal, Haviland - see http://www.antweb.org/specimenImages.do?code=casent0912069 is a light red-brown form and probably is unrelated to negus. 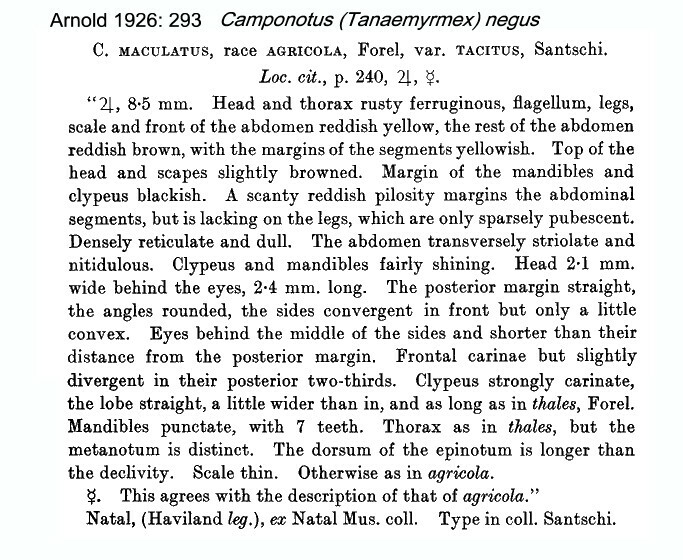 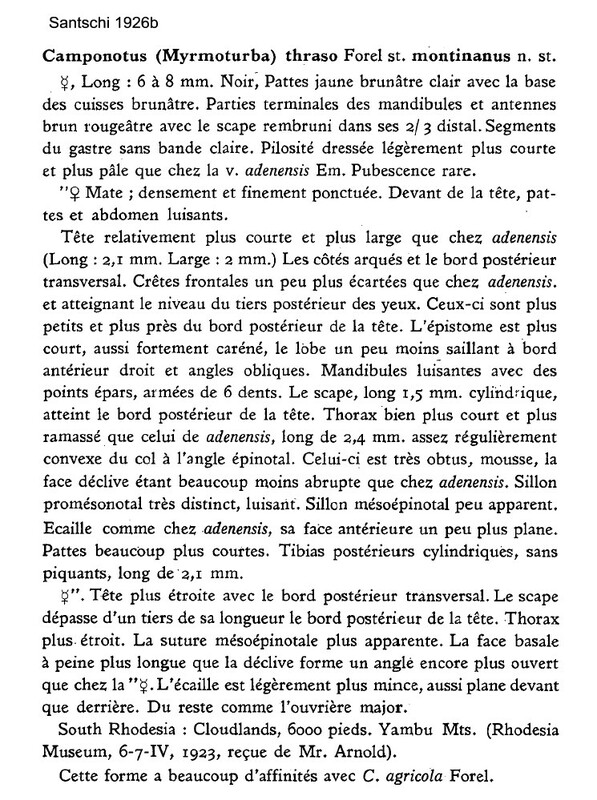 Emery (1893f) simply noted on assabensis that a worker specimen from Assab differed from adenensis in having the gaster without striolate sculpture but being irregularly transversely reticulo-punctate.